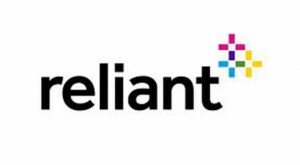 Reliant Energy is a pioneer of residential smart meters. Using this exciting technology the company developed an email and web based platform that tracks a household’s electricity consumption. Ideally this unique tool would allow households to manage electricity consumption and costs. Marketing was interested in gathering consumer appeal, strengths, weaknesses and opportunities to improving the program. Given the geographic dispersion of the households (i.e., households with smart meters were spread throughout the state of Texas) and the exploratory nature of the research online focus groups were conducted. Online focus groups provided the ideal opportunity to quickly and cost effectively solicit feedback on the program. In less than two weeks the online research assessed the appeal, ease of use, perceived value and opportunities to improve the program. These insights helped were critical in effectively positioning and modifying the program prior to a system wide launch.